The HTC 10 is officially here, and while it may not use the “One” name like past HTC flagships, make no mistake that this is a flagship-tier phone. 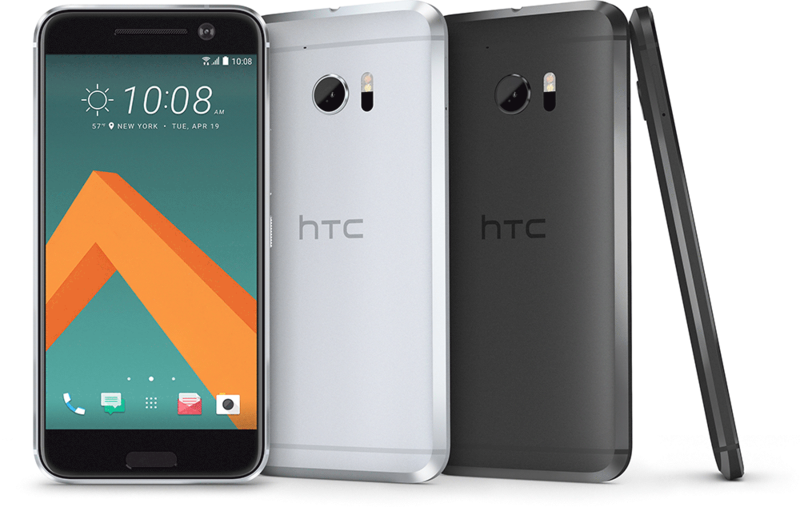 The HTC 10 boasts a metal body with chamfered edges and a full glass front, which includes a 5.2-inch 2560×1440 Super LCD 5 display with curved edges. Above that display is a 5-megapixel camera with an f/1.8 aperture, optical image stabilization, and shooting modes like Auto HDR, Auto Selfie, and more. Below that display are Back and Recent Apps capacitive keys as well as a Home button that doubles as a fingerprint reader. By now, you’re probably wondering where the front-facing speakers are, as the One M7, M8, and M9 all boasts dual speakers on their faces. The HTC 10 offers a different BoomSound configuration with a tweeter in its earpiece and a woofer at the bottom of the phone, but HTC touts that the 10 is still a high-quality audio machine, boasting certified Hi-Res audio and a dedicated amplifier for each speaker. The HTC 10 can also upscale audio to 24-bit quality, offers a Personal Audio Profile that can tune sound frequencies to your ears, and it includes Hi-Res audio-certified earbuds in the box. Another big feature of the HTC 10 is its camera. After HTC skipped UltraPixel on the One M9’s camera, the tech has returned on the HTC 10’s camera, with the unit packing a 12-megapixel UltraPixel rear shooter. The rear camera offers a f/1.8 aperture, OIS, dual-tone LED flash, and laser autofocus, and HTC touts that the 10’s camera has received a score of 88 from camera-testing firm DxOMark, which is one of the highest scores that a smartphone has score yet. The HTC 10’s rear camera is also capable of recording 4K video, capturing panoramas, and it offers a Pro mode with manual controls and RAW support. Diving into the HTC 10’s metal body, you’ll find a 2.2GHz quad-core Snapdragon 820 processor paired with 4GB of RAM, 32GB or 64GB of storage, and a microSD slot for adding up to 2TB of additional storage. There’s a 3000mAh battery that supports Quick Charge 3.0 — which HTC touts can charge the 10 up to 50 percent in 30 minutes — using a USB Type-C port, and the HTC 10 also supports features like NFC, DNLA, Miracast, Google Cast, HTC Connect, and even Apple’s AirPlay tech. The HTC 10’s cellular connectivity includes support for LTE bands 1, 2, 3, 4, 5, 7, 12, 13, 17, 20, 28, 29, and 30 as well as UMTS 850/AWS/900/2100MHz. On the software side, the HTC 10 offers Android 6.0 Marshmallow running with HTC’s Sense user interface. HTC says that it has reduced the number of duplicate and bloatware apps on the HTC 10 to create a more streamlined experience, but HTC has included a few of its own special touches with Sense. That includes Freestyle Layout, a new feature that has no on-screen grid when you’re laying out apps and widgets. That means that you can place app icons, widgets, and stickers — which are basically like links to apps — wherever you want. In the US, the HTC 10 will be sold by T-Mobile as well as Sprint and Verizon. T-Mobile has confirmed that it’ll launch the HTC 10 in May, but pricing details haven’t yet been revealed. If you’d prefer a carrier-free experience, you have the option of buying an unlocked HTC 10 directly from HTC. The unlocked unit works on AT&T and T-Mobile in the US and is available for pre-order starting today, April 12, at a price of $699. It’ll ship in early May with Uh-Oh Protection, which will get you a free replacement unit if you crack your screen within your first 12 months of ownership, as well as a warranty that covers bootloader unlocking. Probably going to use JoD myself, but people were trying to get the T-Mo version of the V10 to use on other services because of that discount. Yah, esp. 64gb…at the very least. Even with adoptable storage, for many, many reasons í will never touch 32…and would be much happier with 128+. So not entirely sure Adoptable Storage is going to be something I’d use. I’ll have to test with another device before making any decision though. I’m using it with my SHIELD K1 and it’s been wonderful. Class 10 doesn’t hold water anymore. It only specifies a minimum that isn’t even good enough for some serious use. At the minium, get a Samsung Pro 128GB. It’s U3. What’s a good deal for one? Samsung Pro 128GB – cheapest from B&H, which you can see from the Google shopping results. PLUS…now I’m seeing bad SD’s…after NEVER seeing that even once…no matter the brand. You should try it with UHS-3, which means limiting yourself to 64GB or maybe 128GB. 200GB cards are still slow in general. Then again, I prefer external mode anyway, because I actually switch microSD cards when I move phones. I keep all my music and pictures there. I would love the 64GB version too. But I do wonder about the price since HTC list the unlocked 32GB version $700. But they always do when sold unlocked from the OEM’s on occassion. I hope it’s not one of those (release the higher storage model version much later on) type situation. But I could wait. Pretty sure (or at least hopeful) that it will be cheaper through the carriers. I hope they don’t go down the road LG & Samsung did with not allowing Marshmallow’s adoptable storage feature. In that case, they just got a bunch of sales based on that alone. That’s a huge plus. I might get one. This is a big one for me too…I assume HTC left the Google WFC software in, but I don’t know if the unlocked version will be “T-Mobile VoLTE Certified” or not…I assume it would be? Any new phones without b12? Most new phones don’t have B12. Even if the chipset supports it, T-mobile tells the manufacturer to get red of it if they won’t certify for VOLTE on 12. Which the manufacturer’s usually won’t, so they just end up killing band 12 support. It’s one of the reasons I can’t buy an unlocked phone. Any word on NFC charging? or did I miss it? Maybe, but there’s a place for Qi…my car dock is Qi. Near Field Communication is for data, not power. Qi charging is the standard that devices use for wireless charging, and no, it does not have that feature. It’s metal, so no. Yes, Qualcomm announced WiPower last year that shows that wireless charging through metal can work, but no one is using it yet. Cannot wait to trade my S6 Edge in for this. How was the experience with that phone? Why not trade in your s6 for an s7? HTC is gone make a comeback this year. Now just waiting for when I can JOD preorder this bad boy. M9 was excluded from JOD, cross those fingers. Anyone know if the Unlocked Version will support B12/VoLTE? Also curious about WiFi calling but seeing as that’s pretty much implemented into base android it should be available. It’s tough to tell. Android 6.0 has native band 12 support along with volte and it’s available on the nexus phones but no other phones. Maybe it will. Band 12 is listed on the specs for unlocked. Whether it will support VoLTE, wifi calling and enhanced voice is unknown. That’s probably the difference between the T-Mo ROM and the unlocked ROM (beside the few T-mo apps). I’m tempted to pre-order but will wait until people get to tinker with them first. Developer- and update-friendliness have higher priority for me than voice calling (which I can still do with the basic stuff). For the general T-mo customers, I think the T-mo version should be what they get. Des’ unboxing video show the app drawers with minimal number of apps, so it doesn’t seem so badly bloated. Pre-ordered the unlocked version of this beast 5 minutes ago. Aside from wireless charging, the 10 has my S7 Edge beat in every way. Out of curiosity how does the HTC 10 beat the S7 edge in every way? I’m so on the HTC10 as well. Comparable camera, but superior touch responsiveness, HTC Sense, and built in DAC. Those are the big ones… the bummer is it’s not water resistant, but I’m not too worried about that. I’m buying it. Love the Black front/Silver Metal back version. Finally a worthy upgrade (at least for me). It checked off everything I wanted in a smartphone, great rear and front-facing camera, audio enhancing technology, really good speaker, USB-C, Qualcomm Quick Charge 3.0, Clean software, UI, and most importantly, GREAT BATTERY LIFE (Huge plus for me). I just hope T-Mobile will have SCORE! available for it, so I can get rid of this $5/month payment, and make use of it for a reasonable discount towards a smartphone I actually want. SCORE was discontinued when JOD 2.0 launched. If you are post paid and have 12 mos of current payments you can get it for zero down. Yes, I definitely know that. However, it’s still active. I spoke to T-Mobile and asked them specifically about SCORE when it was posted online as discontinued. And they told me, you can still use it, but after you use it, the service will be removed from your account. It’s still active on my account, and anyone who hasn’t used it for an upgrade yet. It has been available to use for devices like the Blackberry Priv, and iPhone 6 models, and recently updated to apply to the Samsung Galaxy S7 models, LG G5, and iPhone SE. so it’s still active, till I use it for an upgrade. I gave the Galaxy S7 a chance a couple weeks ago and went back to the iPhone 6s quickly. This may be the phone that finally gets me back to Android though, I love what HTC has done with it based on the early write ups. Why did you go back to the 6s if you don’t mind me asking? Also is there a particular UI that you prefer (ex. touch wiz vs sense)? What was your last android device that you liked? My first real smartphone was the HTC Hero (Sprint version) and I had numerous Android devices since then. My favorite was probably the Nexus 5. I was pretty into rooting my devices for a while, and always preferred the AOSP ROMs for their custom stock look and feel. However my company switched to a BYOD setup and the client has a pretty stout root check, so that hobby died. When the Nexus 6 was announced it didn’t impress me, and the other Android options at the time also weren’t that great IMO, so I decided to give an iPhone a try since they finally increased screen sizes. I went with a 6 Plus and loved it, it was just a very good phone all around. When the Galaxy S6 came out I gave it a shot since it received great reviews, but TouchWiz is just too bloated and IMO ugly, and I couldn’t stick with it. I switch to a 6s then as the size of the Plus was wearing on me a bit. Most recently I gave the Galaxy S7 a shot, but for the same reasons I went back to the 6s. HTC’s approach with the UI has me excited, and if it actually has a capable camera it may keep me back in the Android camp. Surprised you never gave the 5P or 6X a shot. I actually liked those for a nexus device (either the battery or the camera) always turned me off. I used to love HTC android devices (G1, the original Nexus), but sense turned into something I really didn’t care for. I would have given the 5x a shot, but had entered a Jump on Demand lease before it was released, and T-Mo doesn’t carry it so I missed out. 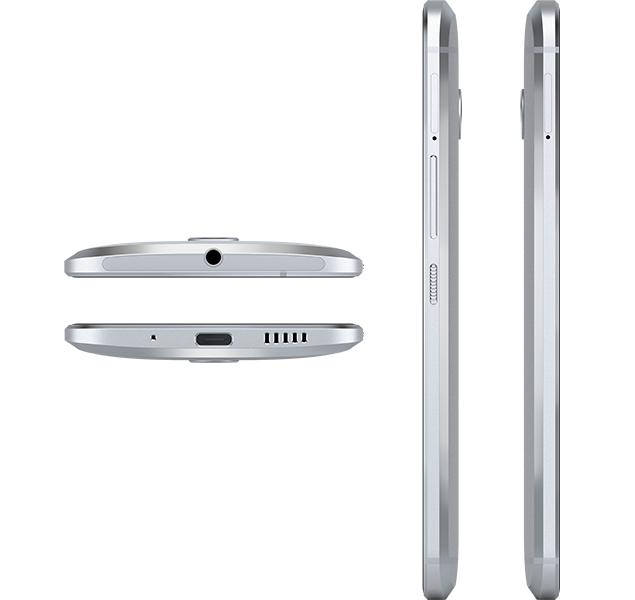 The 10 seems the closest to a Nexus device we may see that the carriers carry. I don’t think anyone prefers Touchwiz over anything. okay, “woofer” to me, means, low frequency reproduction only, so unless i’m missing something, this no longer has stereo speakers? I would assume not, just the tweeter up top and the woofer at the bottom. Probably not. Stereo with 5″ seperation was a gimmick anyway. boomsound is widely accepted as the htc’s foremost feature and a reason for their gaining fame so suddenly with the M7. Things people want in a cellphone: Good Camera. HTC isn’t trying to win over HTC Fanboys (like me) they’re trying to sell a phone to the masses. Too small for me but sounds awesome! Yep, but you and I seem to be in the minority. I just don’t get it…especially girls- they demand muchos inches in bed, but in a cellphone they shriek in fright. Design looks great, much better than “semi-metal” G5, and I bet it also feels better in hand. Also, good thing they didn’t go for any gimmicky “second camera” thingies – most people will never use these after they’ll play with them for a few weeks, they just need a simple single camera. Too bad there’s no wireless charging due to the choice of the material, maybe for next model they’ll figure out how to implement this extremely convenient feature (seriously, it’s much more usable than any kind of “wired” charging, regardless of the charging speed). Until then I’ll have to stick with Samsung’s offerings. If you don’t care about this feature – you should definitely consider this model instead of LG’s stuff. If you want to get the pre-order from HTC, use code HTC1008 to take 100 bucks off. As for me, I’ll probably be dropping my Note 5 for the 10. I want that Snapdragon 820 and so far HTC is the only US release that will not utilize Qualcomm secure boot and dm-verity to keep it locked down. So I lose half an inch of screen and the S-Pen but gain the ability to have up to 2TB external storage, the best camera DxOMark has ever tested in a phone, much better sound quality from both the external speaker and the 24-bit DAC combined with headphones designed to use it, officially sanctioned root and custom ROM which means a huge community as opposed to the closed source Exynos killing development, and I get to lose TouchWiz too! thanks Rob just ordered one can’t wait to sell my S7.. not a Samsung fan boy..
I’m glad I was able to help! Unfortunately I don’t have the free cash at the moment but I got the code I’m assuming since I had the M7 and M8. I unfortunately skipped the M9 because of the 810 and got a Nexus 6 instead and then went to the Note 5. I can’t wait to go back to HTC. Thanks to a Marshmallow leak back in November and Marshmallow being released for the very similar Canadian version, I have a frankenstein version of Marshmallow 6.0.1 since yesterday. That’s just not acceptable. I’m pretty sure that 2TB micro SD cards don’t exist yet. The highest capacity is 200GB, and soon to be 512GB. Future proofing a phone for something that is so far off into the future seems like a waste of money, considering how often new phones are produced these days, IMO. The Snapdragon 820 is more than likely making its way into the Note 6, since the S7/Edge both have it, and it might possibly have an even newer CPU, so why not wait? I’m well aware the limit is 200GB until July but I’m done with Samsung. With how much they locked down the S7 and S7 Edge, employing not only Qualcomm secure boot and dm-verity but going so far as to encrypt the bootloader on them as well, and the fact that they are the worst with software updates, I’m going back to HTC. If the Note 6 doesn’t have an encrypted bootloader I may consider it but honestly if it isn’t HTC or a Nexus I’m probably not going to be interested. I just got the Marshmallow update for my Note 5 last night. It seems to have sped my phone up, and it looks nice. I have been running Marshmallow for a few days thanks to a mod and I just went back to COKC and now to the official release but it still doesn’t change the fact that Samsung had a working Marshmallow build for this phone back in November and only just now got the official update out whereas with HTC I would have had it the day the international version got it. That’s not entirely Samsung’s fault. I’d say it’s as much T-Mobile’s as it would be Samsung’s. As long as the final build isn’t buggy, I’m fine with a longer testing period. I’ve modded in the past (My old Note 3), but I’m not really a fan of testing early ROMs. I don’t like losing features, and I just want my phone to work. Here’s the thing though. HTC uses the same hardware and has interchangeable ROMs and radios so I would have had Marshmallow as soon as International models got it. I’m definitely going back to HTC. Besides, I have Jump 1 so if I want to switch phones again I can do that in November which is when I used my last jump credit. I can’t see myself going back to Samsung again until they become developer friendly though. Even the original Galaxy S Samsung intentionally broke compatibility between SKUs. HTC has never done this unless it was legitimately different hardware. At such a high price, and with stereo speakers removed and the design redone to look kind of like an iphone/galaxy hybrid on the front, I’m not sure these will sell all that well. Not waterproof and they don’t have a removable battery either. The back looks really nice though. That said, I don’t think this is the phone that will turn HTC around. Based on name-brand recognition alone along with the S7 being water-resistant and having a vibrant AMOLED screen, I feel like this phone will lose out to the Galaxy and iPhone. Plus, I know why they made the screen 1440p now, but I really dislike this trend of such an unnecessarily high resolution that just drains battery life. It actually does have dual speakers. The bottom one is used for bass; not a bad idea because human ears have a harder time discerning the origin direction of lower frequencies than higher frequencies. The ear piece is a tweeter style with individual amps for each. Their LCD’s have been great and they say that the colors are improved from previous displays. I do hope this will start catching people’s attention to an awesome OEM. IP53 is enough to use my phone in the rain though, right? If so, that is a step up over my confidence in doing that with my 6s. I think you think you’re replying to someone else, but yes, good for rain. I was simply clarifying the IP53 rating. I’ve been mulling around the G5 and S7 for a month now. After news of this release, I’ve convinced myself this is the phone I will get. I’m sure after you read about the camera, built in DAC for superior audio, and fastest touch responsiveness of any phone including iPhone, you’ll like the HTC. I’m hoping they offer something free for preorders so I can place mine asap. I’m an audio buff, so the DAC put me over the edge to want it over everything else. I too highly prize the best audio from my smartphone and if this beats out the 6s HTC here i come baby! we don’t know which DAC it is so hold on. for all we know, it could be the same Snapdragon 820 DAC. That DAC is capable of 24 bit playback. If this is the case all it means is that the HTC 10 is louder than the others that are utilizing the same DAC. Its 100 dollars off with the HTC1008 code, also, you can get 100 cash back if you havent used your oh oh protection. So its 200 cheaper than the S7 possibly. I received a $100 off code from htc. I’m thinking now if should I grab it or go G5 or Freetel Musashi? 900 would probably be after 850, and there’s no way they’d release a phone without 1900 HSPA. It cannot be price even with the S7. It doesnt have a delicate bottom front button like the S7 have. I feel cheated with on bottom on screen button. You’re being sarcastic, aren’t you? It looks like HTC finally listened to the consumer and is delivering their best phone yet. This is the one I have been waiting for. Well after what the employee at my local T mobile told me, probably never. Makes sense since none of the employees have yet to even receive theyre 1-2 weeks prior to sale notification. So hopefully they are just working things out and will become available soon…. same here. discount is over and still no word. crazy since htc and tmo were like best friends from the start. They “unboxed” the device on April 12th…it is now May 4th (May the 4th be with you), and we’ve heard *NOTHING* about when/if T-Mobile will be getting this device. Massively underwhelmed by their communication on this to put it mildly. I asked a T mobile employee yesterday about the HTC 10 and he said he doesnt think theyre even getting it since T mobile usually issues all their employees a notice 1-2 weeks in advance saying they will be getting a new flagship in stock soon. He said none of them had recieved any notification at all yet. If T mobile doesnt get this phone (and add it to the Jump on Demand) Im gonna be pretty damn upset with them. I mean isnt it bad enought theyre service is only “okay” at best? That would piss me off as well. Especially considering Des’ unboxing stunt and saying they’d have it on Twitter. Des is the PR guy for T-Mo – and he has not been responding to any questions about the device since then. And since the employees told me they havent heard a thing about it either, they are convinced theyre not getting it either. And to be honest thats just BS. Either T-Mobile or T-Mobile Help has reiterated on Twitter they will be getting it, but no word as to when. According to a few anonymous sources the T-Mobile HTC 10 release date is set for May 18th, which isn’t quite “Early May”. It will be worth the wait though, because we’re hearing T-Mobile will be handing out a free Ice View case as well as a second spare USB Type-C charger for those who buy it from them vs the competition. Can anyone confirm if HTC allows the T-Mobile variant of the 10 to unlock the bootloader or not?